"Generally, the fish are reasonably evolutionarily designed to handle disturbances of that kind,"
A new study sums up what scientists know about the environmental effects of removing dams from rivers. It concludes that rivers and fish respond quickly after a dam is removed, and the results are mostly positive. "Heraclitus has said you can't step in the same river twice,"said study co-author Gordon Grant. "Well, you don't get exactly the same river back after you take a dam off it that you had before, but you can come pretty close. In some cases, it can even be difficult to identify in just a few years where the dam was." Rivers often disperse the extra sediment from behind a dam within weeks or months of dam removal, the study finds. Migratory fish move swiftly to recolonize newly accessible habitat -- at times swimming past the former dam site within a matter of days. Grant, a research hydrologist with the U.S. Forest Service, said the number of dams removed has shot up in the past decade. In the U.S. 548 dams were removed from 2006-2014 compared with 298 dams removed from 1996-2005. That recent round of dam removal has included projects on Washington's Elwha and White Salmon rivers and Oregon's Sandy River. "We wanted to step back from the fray and assess: What have we learned?" he said. "What works, what doesn't, and what sort of guidance does the past give us in looking towards the future?" Grant said the effects of dam removal definitely vary depending on the size of the dam, the size of the river, and how much sediment was stored in what size reservoir. But he and his colleagues did find some common lessons. Before dam removal had been studied, Grant said, scientists thought it might take decades for rivers to disperse the accumulated sediment. But that was not the case in almost all the documented cases. In most cases, it was only a matter of weeks or months. "Rivers appear very nimble in terms of being able to digest these meals of, in most cases, sediment that has been stored behind these structures, some of which have been in place for close to a hundred years," he said. Study co-author Jeff Duda, a biologist with the U.S. Geological Survey, is studying the effects of dam removals on the Elwha River in Washington -- the largest dam removal in history. He said the Elwha has been the biggest test case to date of how a river handles large deposits of sediment released by dam removals. That project started in 2011 and removed the last part of the Elwha Dam last August, releasing 21 million cubic meters of sediment altogether. "We've seen the river downstream handle that input of sediment, and it's, Study Finds coming back," Duda said. "For awhile, it was running pretty muddy, and still does during high flows, but if you go out there during periods of low flow it runs pretty clear again. So, the river is adjusting." Duda said scientists are still tracking the long-term effects on fish in the Elwha, but it didn't take the fish long to reoccupy the habitat above the dams. "We saw fish here just upstream of Glines Canyon Dam within days of the final blast," he said. "If you give the fish a chance, if they're migratory, they will recolonize the streams above dams." 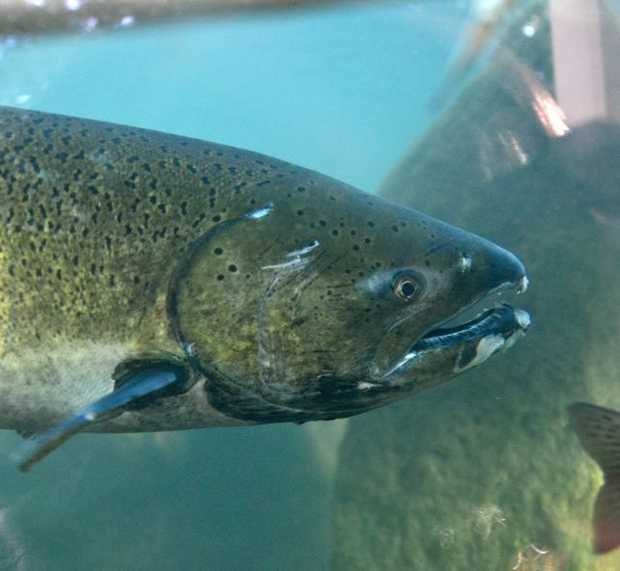 Overall, Grant said, fish seem pretty well adapted to handling the short-term, large volumes of sediment moving downstream after a dam removal, as it's similar to what they might see during a flood or volcanic eruption. "Generally, the fish are reasonably evolutionarily designed to handle disturbances of that kind," he said. "What we don't know though, is whether you get back the sort of fish community you might have had before the dam." Researchers found removing a dam can release contaminants stored in sediment, and it's a good idea to check for that before removing a dam, Grant said. In a case of "good dam removals gone bad," he said, the Fort Edward Dam removal on New York's Hudson River released so much contaminated sediment that the river was later placed on the Superfund list of the nation's most contaminated sites. While there have been many positive results documented from dam removals, Grant said, the benefits of dams for water storage and energy -- especially in light of climate change -- may continue to drive people to build new dams. "The future of dam removal has to be viewed against this context of a lot of places in the world where dams are still viewed as important steps in development as low-carbon energy sources," he said. "Our removals in the U.S. are offset in terms of total dams by a lot of new dam construction in South America, Southeast Asia and India." Rivers Recover Rapidly Once Dams Are Gone, Study Finds <-- Listen at original site.